Do you remember back in February when i was experimenting in the kitchen trying to find the perfect cookie? Well I've been at it again and made another batch ... 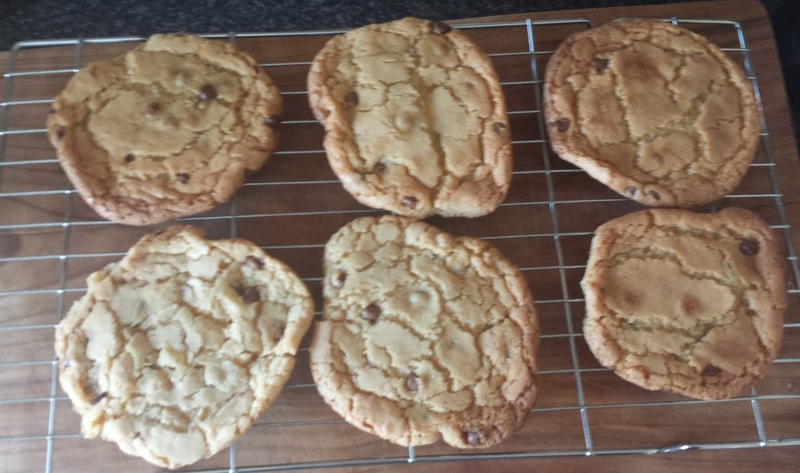 This time with choc chips (it is the Easter break after all) and i thought i'd share the recipe with you guys again incase you too are looking for the perfect cookie. Preheat the oven to 180C. Grease 2 baking trays or line with greaseproof paper. 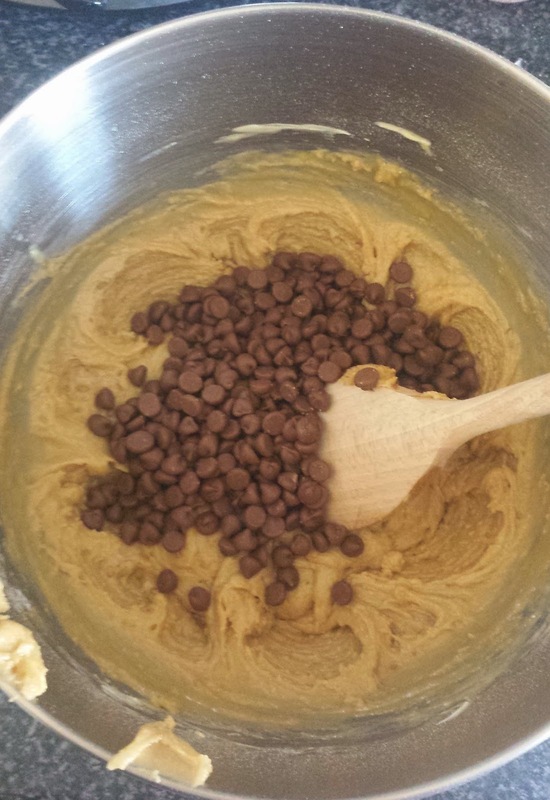 In a bowl, mix together the melted butter, brown sugar and white sugar thoroughly. Beat in the vanilla, egg, and egg yolk until light and creamy. Mix in the reserved sifted ingredients until mixed. 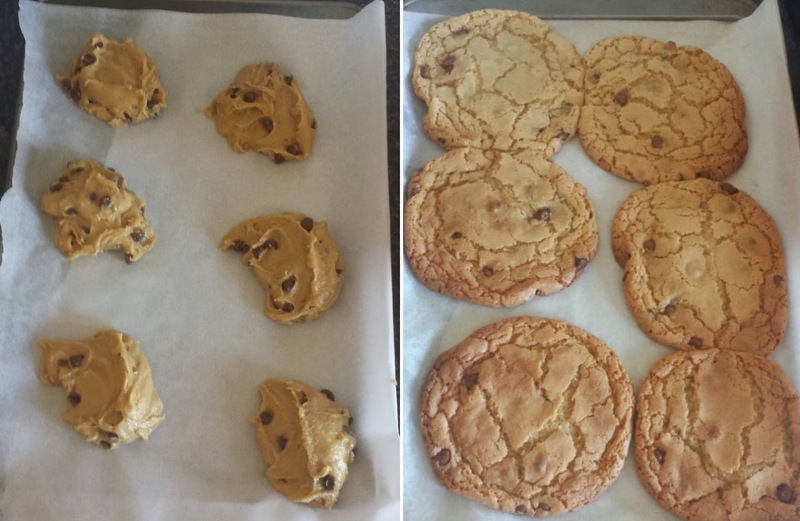 Scoop a little of the cookie dough onto the trays, remember to leave some space as they will spread. Cool on baking sheets for a few minutes before moving to wire racks to cool completely.